We have here the sacrum of the Haplocanthosaurus priscus holotype CM 572, in ventral view with the ilia still in place (so that the slightly hourglass-shaped dark regions you see on either side are the acetabular regions of the ilia, facing downwards). 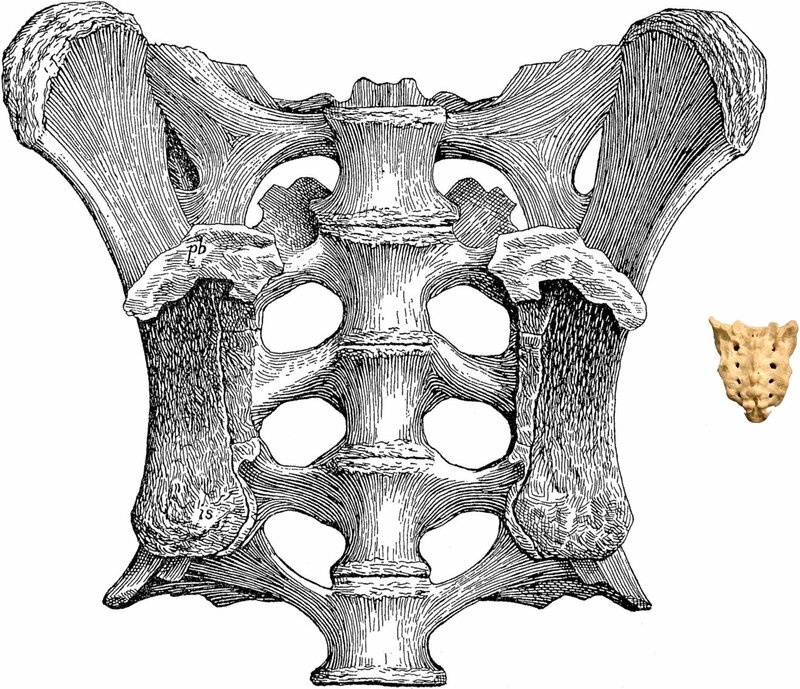 To the right is the sacrum of a good-sized adult male human such as my good self, in dorsal view. The total length of the five fused sacral vertebrae of Haplo is 79.5 cm (Hatcher 1903:18), compared with about 11.5 cm for the human. Actually, Haplo is not a particularly big sauropod: the sacrum of Brachiosaurus altithorax holotype FMNH P25107, for example, comes in at 95 cm (Riggs 1904:236). But it’s big enough to make your sacrum hang its zygapophyses in shame. I picked Haplo just because Hatcher’s 1903 monograph on it is so beautifully illustrated, and the world is not as plentifully supplied with complete, uncrushed, well-preserved sauropod sacra as we might wish. This post marks Haplo’s SV-POW! debut, but what kind of sauropod is it? As pointed out by Taylor and Naish (2005:4), various studies have reached different conclusions about this: Riggs (1904:229) classified it as a brachiosaurid; McIntosh (1990:347) as a cetiosaurid; the phylogenetic analysis of Wilson and Sereno (1998:54) recovered it as a non-camarasauromorph macronarian; Upchurch (1998:74) found it to be an “eosauropod” (i.e. 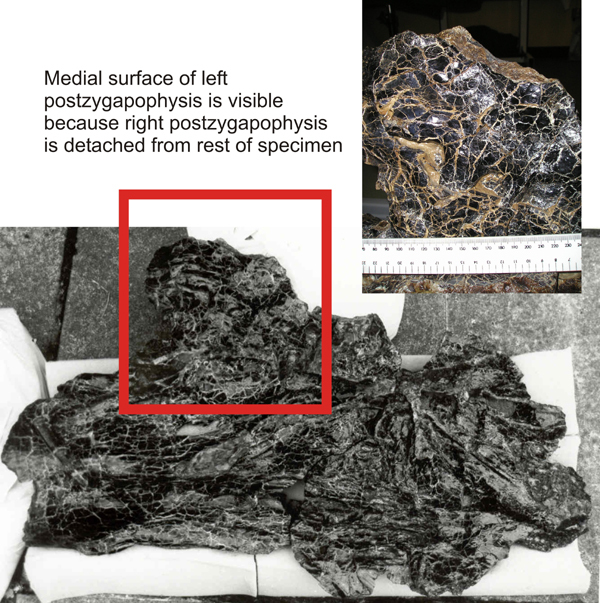 a non-neosauropod sauropod); Wilson (2002:240) recovered it as a basal diplodocoid (outside Diplodocimorpha, the clade uniting Diplodocus with Rebbachisaurus); and Upchurch et al. (2004:297) found it in a derived position, as a camarasauromorph closer to Titanosauriformes than to Camarasaurus. All this disagreement is not as bad as it seems, though. We can discount Riggs’s assignment to Brachiosauridae as this was offered at a time when few sauropods were known. All the other assignments, as disparate as they appear, place Haplo very close to the root of Neosauropoda, that is the divergence between the two great Neosauropod clades Diplodocoidea and Macronaria. Some have it at the base of one branch, some at the base of the another, some just outside; with the exception of Upchurch et al.’s (2004) placement as a macronarian more derived than Camarasaurus, these positions are all only one or two nodes apart on a consensus cladogram. In fact, the most recent common ancestor of all neosauropods might have been something rather similar to Haplocanthosaurus. It can’t have been Haplo itself, as it came along fifteen million years too late to be the ancestor of early neosauropods such as Atlasaurus, but it’s possible that it’s little changed from that ancestor. Hatcher, J.B. 1903. Osteology of Haplocanthosaurus with description of a new species, and remarks on the probable habits of the Sauropoda and the age and origin of the Atlantosaurus beds. Memoirs of the Carnegie Museum, 2, 1­-72, pls 1­4. McIntosh, J.S. 1990. Sauropoda. Pp. 345­-401 in D. B. Weishampel, P. Dodson and H. Osmólska (eds.). The Dinosauria. University of California Press, Berkeley. Riggs, E.S. 1904. Structure and relationships of opisthocoelian dinosaurs. Part II, the Brachiosauridae. Field Columbian Museum, Geological Series 2, 6, 229­-247. Taylor, M.P., and Darren Naish. 2005. The Phylogenetic Taxonomy of Diplodocoidea (Dinosauria: Sauropoda). PaleoBios 25 (2): 1­-7. Upchurch, P. 1998. The phylogenetic relationships of sauropod dinosaurs. Zoological Journal of the Linnean Society 124:43­-103. Upchurch, P., P.M. Barrett, and P. Dodson. 2004. Sauropoda. Pp. 259-­322 in D.B. Weishampel, P. Dodson, and H. Osmólska (eds.). The Dinosauria, 2nd edition. University of California Press, Berkeley and Los Angeles. Wilson, J.A. 2002. Sauropod dinosaur phylogeny: critique and cladistic analysis. Zoological Journal of the Linnean Society 136: 217-­276. Wilson, J.A., and P.C. Sereno. 1998. Early evolution and higher-level phylogeny of sauropod dinosaurs. Society of Vertebrate Paleontology Memoir 5:1­-68. Were the biggest sauropods the most pneumatic? This might be a stupid question (I don’t really believe that there are no such things as stupid quetions) but do you find that sauropod vertebrae are more highly pneumatic in larger sauropods? This is not only not a dumb question, it is one of most important questions about pneumaticity in sauropods. The answer is complex, but here at SV-POW! we embrace the complexity. So here’s the dope: brachiosaurids had the most highly pneumatic vertebrae of anything that we’ve measured. Nobody’s gotten a mamenchisaur vert into a CT scanner, nor one from Supersaurus. I had a plan all worked out to do the latter, but at the last minute we realized that the darn thing wouldn’t fit through the scanner. Occupational hazard. And not much scanning has been done on titanosaurs, and none at all on the very big ones. So out of the four clades that produced real monsters–mamenchisaurs, diplodocids, brachiosaurs, and titanosaurs–we have hard data on the monsters themselves from only one. Diplodocids and the more derived titanosaurs did have pretty highly pneumatic vertebrae, but not all of them were big. Some were downright dinky. 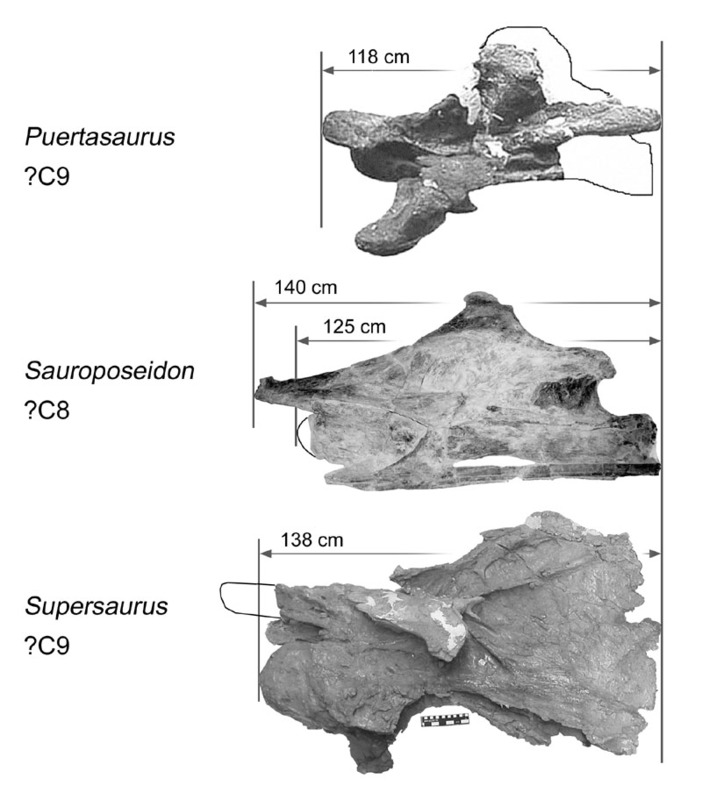 And there were some pretty big sauropods with only moderate pneumaticity, like Jobaria and Camarasaurus. But they weren’t the real monsters; neither of those critters probably topped 1/3 of the mass of the biggest sauropods we have fair remains for, let alone semi-apocryphal gigapods like Amphicoelias and Bruhathkayosaurus. In short, the picture ain’t clean. Draw a square and divide it into four smaller squares. Label one axis with “Huge: Yes or No” and the other axis with “Highly pneumatic: Yes or No”, where “huge” means something in the 50+ ton range and highly pneumatic means something with more than 60% air in its verts. All of the boxes will be filled but one, which is the “Huge” and “Not highly pneumatic” one. There are small sauropods that were highly pneumatic, but so far no huge sauropods that weren’t, at least based on the evidence in hand. It doesn’t work out so well statistically, despite what I said in my 2006 SVP abstract. The problem is that the statistical significance comes and goes depending on which taxa are included. That’s a big problem, because there aren’t very many taxa for which we have enough data to make doing the statistics worthwhile. 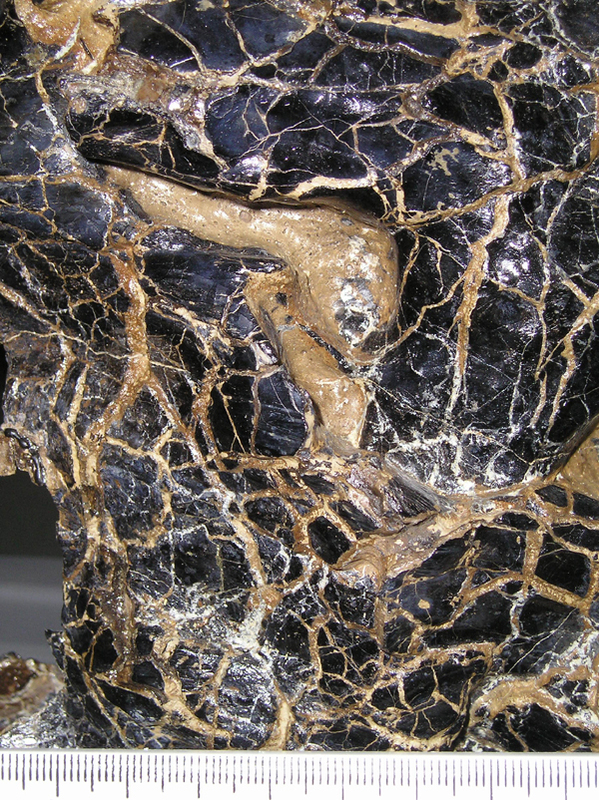 And we have no crunchable numbers on most of the biggest sauropods, including Supersaurus and the biggest mamenchisaurs and titanosaurs, so even the lack of statistical significance in some of the tests might be just an artifact of undersampling the biggest and possibly most pneumatic taxa. 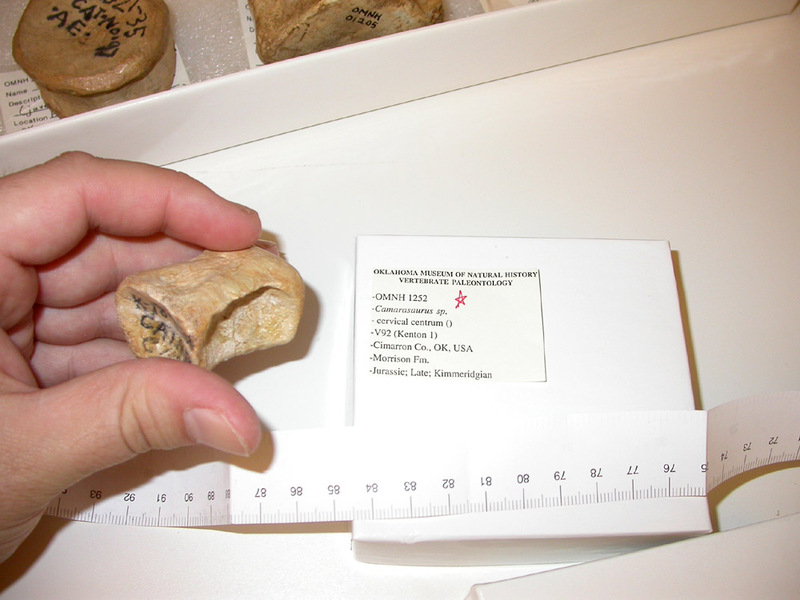 And there is a final caveat, which is that supposedly there is a 2.3 meter femur from the Early Jurassic of Morocco. Not much is known about this. It was mentioned but apparently not figured in one short paper published a while ago in French in a Moroccan journal that is exceedingly hard to get a hold of. If it is really from the Early Jurassic and it really is that big, that’s pretty amazing. A 2.3 meter femur is as big as that of the largest known brachiosaurids. It’s up there in Argentinosaurus country. But in the Early Jurassic it presumably represents something pretty basal, which presumably means something that is not highly pneumatic. You’ll notice that there are a lot of presumablys in there, but if that femur does represent a huge basal sauropod, then we would have to go back to our boxes and put an X in the last one, the “huge” and “not highly pneumatic” box. In which case, forget about any statistical correlation between size and pneumaticity. That giant eopod would be enough to wreck the correlation all by itself. And I just remembered Turiasaurus, which I should have thought of sooner since I’ve seen the material (nyah nyah). The verts are a little mooshed but not bad. I’ve scanned worse. And the folks in Spain would like to scan it. My guess is that it will come about about like Camarasaurus, in the ~60% zone. It is probably the biggest sauropod with so little pneumaticity, except only the Moroccan monster, assuming my guess is correct (FWIW, when Mike’s tested me in the past my guesses about air space proportion have been pretty darn close). So what’s the take home message? At least a few sauropods got rilly rilly big without being rilly rilly pneumatic. And at least some rilly rilly pneumatic sauropods were not particularly big. But the biggest sauropods that we know of also seem to be the most pneumatic. There is another interesting pattern, having to do with neck length and internal complexity of the vertebrae, but I’m going to save that one for another post. The picture shows the three largest cervical vertebrae of anything, ever, that anyone has found. Until somebody finds some more Amphicoelias fragillimus or Bruhathkayosaurus, this is as long as vertebrae are known to get. Sauroposeidon and Supersaurus are my own photos; Puertasaurus is after Novas et al. (2005:fig. 1). Each of those taxa–heck, each of those vertebrae–is due its own post one of these days, but for now just grok the immensity. Novas, F.E., Salgado, L., Calvo, J., and Agnolin, F. 2005. Giant titanosaur (Dinosauria, Sauropoda) from the Late Cretaceous of Patagonia. Revisto del Museo Argentino de Ciencias Naturales, n.s. 7:37-41. Every once in a while it’s good to remember that no matter how big you end up, everybody starts out small. Jack McIntosh came through the OMNH a few years ago and identified all of our sauropod material. There are babies of both Camarasaurus and Apatosaurus from this quarry. I have no idea if this centrum belongs to Camarasaurus or Apatosaurus–juvenile centra are not horribly diagnostic–but if Jack says it’s Cam, I’m prepared to believe him. Stuff that I used to agonize over a few years ago–like how to tell busted anterior cervicals of Brachiosaurus and Barosaurus apart–I can make out almost reflexively now. So it does not strike me as improbable that after looking at sauropod vertebrae very carefully for better than half a century, which Jack has done, this might scream Camarasaurus at an intellectual frequency to which I am currently deaf. 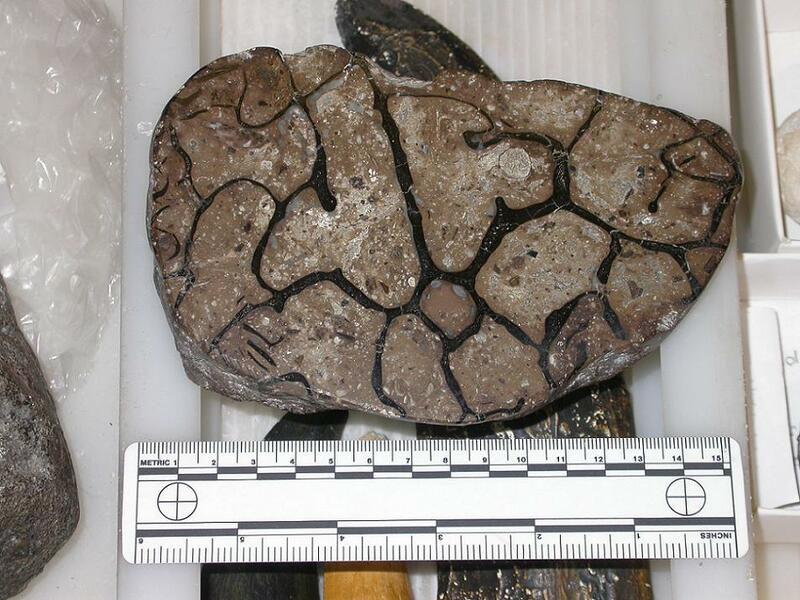 It would be awesome to do morphometrics on a zillion or so sauropod bones and see whether Jack or the computer was better at making identifications. Sort of like Kasparov versus Deep Blue, but over something really important. I’d bet on Jack. Bigtime.